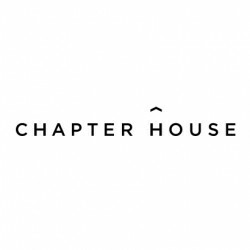 Chapter House is a family owned and operated with a shared commitment to providing a thoughtful and tailored service at a difficult time in people's lives. With years of experience behind us, we're proud to be known for our compassion, integrity and the utmost care. Our Funeral Directors are happy to meet you at our head office on High Street, Kew, or at our office at 101 Collins Street in the Melbourne CBD. We can also meet you anywhere within the greater Melbourne area – it's wherever you feel most comfortable. Traditional funerals - We offer traditional funeral services with a truly personal touch. These ceremonies can be held at a religious venue or from a selection of alternative venues that we’d be more than happy to discuss with you. This can then be followed by a second service at a crematorium or cemetery. As always, we will be guided by you, so that we provide the appropriate support for you and your family. From organising flowers, music and catering, to creating order of service booklets, we'll work with you to tell a personal and memorable story. We also collaborate with a range of local artisans, including jewellers and florists, to ensure every detail is right, no matter how small. Epitaph, Direct Cremations - At times, a simple approach is all that is needed. Our Funeral Directors organise transport to the final resting place with care and efficiency. Memorials - A memorial is typically a gathering that defies convention. It could be held in a local park, a favourite bar, a private gallery, a beautiful winery, or a family home. It can take place anywhere, at any time, and promises to be as unique as the individual being celebrated. Our Funeral Directors work with you to first secure a venue. We then help to arrange anything from music and readings to invitations and wine. The important element to remember is that a memorial service does not follow any rules. It’s just whatever feels right to you. Just as each life is different, each story can be told in a different way. Novella, Children & Infants - The death of a child or infant is one of the most painful losses imaginable. No matter how short a life may be, there is always a story to tell. When young ones are involved, families often feel lost and alone. We offer a rare depth of experience in this area. We believe in helping families to set their own pace, whether that means organising a traditional service or delaying a memorial until the time is right to say goodbye. Our European infant hearse has been fully customised, and the first of its kind in Australia. With its tasteful interiors and appropriate size, we believe this offers a more fitting way to transport a young person than the traditional adult hearse. Pre-paid funerals - Pre-paid funerals provide the reassurance that your loved ones will not wear a financial burden at a challenging time in their lives. It also allows you to choose the way your story is told, from your best-loved song to your favourite flowers. Funds paid towards pre-paid funerals are held safely in trust and are fully transferable.